What's with hippies and flowers? Any time we see a hippie, they always seem to have a flower thing going on. Which is fine, nothing against flowers. Flowers are pretty, after all! The icing on nature's cake, if you will. But hippies seem to think the rest of us don't know that for some reason? Like, "hey man, here's a flower, world peace, right?" Except you just killed that flower by picking it, so who's the peacenik now, bud? You and all your flower talk and you're killing flowers left and right. Also, why do we need flowers to demonstrate our desire for world peace anyway? And hippie flowers are never normal flowers. It's not like they show you a daisy and you're like "Oh, a daisy!" No, hippie flowers are all psychedelic with bright colors and weird shapes. That's got to be the LSD talking. Hippies love their LSD, man. But hey, hippies aren't all bad. They're promoting a more peaceful existence in the world. Nothing wrong with that. You don't want to wear a tie to work, well neither do we! Free love, man, right? Sure they tend to be a bit dirtier than most of us, and they probably don't smell too fresh when they're not surrounded by a haze of smoke, but other than that, hippies are alright. 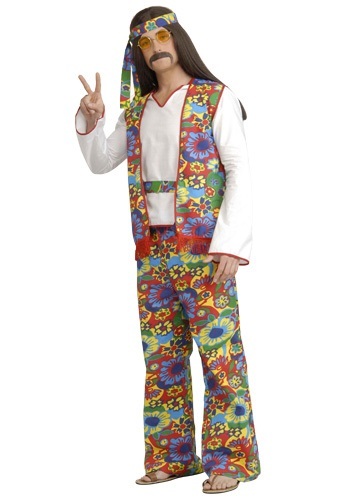 So relive the trippiest period in American history with this hippie costume. 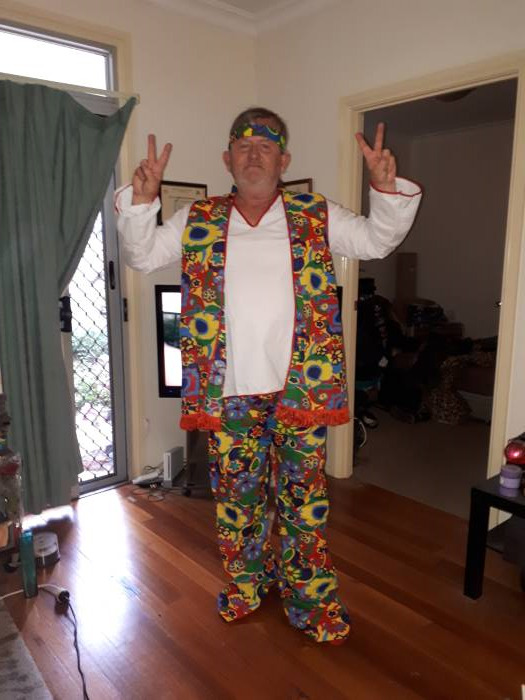 You'll be waving that peace sign at everyone, asking them to consider the possibility of peace and love for all mankind. You're changing the world, hippie! One peace sign at a time!